A lot of car owners treat their vehicles like their children. I can understand the desire to baby your car, always wanting it to look and perform its best. One way to keep it looking pristine is to have it washed on a regular basis by a car wash professional. Now comes the part of finding a dependable and affordable option, to keep cleanings consistent and effective. What options are available to vehicle owners that want to keep their car clean? One option open to those that want to keep their vehicles clean and tidy is the DIY method. This method might be feasible for people with a lot of time on their hands, the space to do it, and the products necessary to do an effective job without harming the environment. However, most vehicle owners do not have the time in their busy schedules to do the job thoroughly and correctly. By washing your car yourself at home, you may think you are saving money. This is hardly ever the case in reality. By the time you buy all the products and factor in the water and equipment used, you are probably not saving anything. No to mention the time it takes. You have to set your car up in a good spot, get out all the equipment, set up the hose, and this is on top of doing the actual labor. Then put it all away when it’s done. Also, be sure to use environmentally safe cleaning products, since they will be soaking into the ground on your property. The next step up from the DIY method, is the self serve car wash. This a great option for people that want to be in control of washing their own vehicle, but would like access to professional equipment and cleaning products. Since most professional car washes charge a minimal fee for this service, it is a very affordable option for people who like to wash their own cars. This is the option that most car owners tend to go for. This approach involves leaving the entire process for the experts. Within this category, car owners can usually choose from a variety of full serve options. These options will usually include anything from a basic exterior wash, to an intensive and through cleaning of the entire vehicle. With this method, specially trained technicians will get to work cleaning your car in an efficient and effective manner. This leaves car owners time to relax, take care of errands, do some reading, etc. 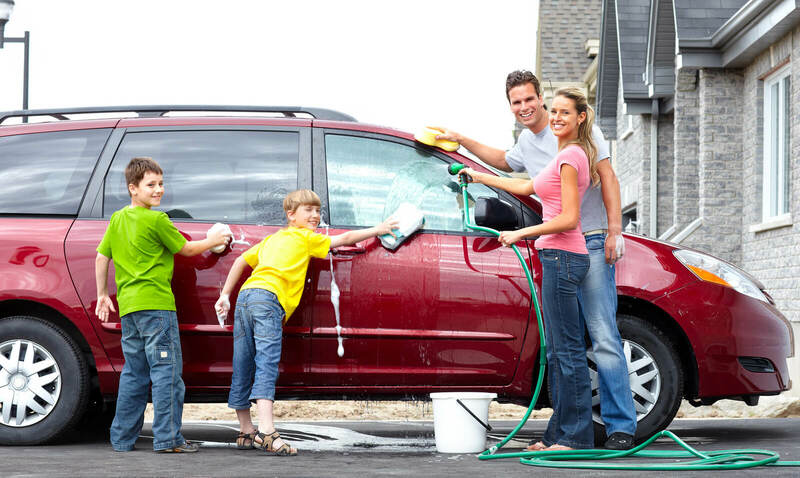 If you have decided that the DIY method is not for you, for obvious reasons, then a great spot to check out car wash services is the In N Out Car Wash and Detailing Centre in Brampton. With a long history of providing exceptional car washing services for people in the Brampton, Mississauga, and Toronto areas, the experts at In N Out will provide you with the same quality service and impeccable results upon each visit.